I get an overwhelmingly response about favorite cookies from people growing up and the one cookie on that top 10 list would have to be Half Moons. They seem to be a comforting item not only for the simply fact that they are delish but also because it sparks that memory for people. Growing up comfort foods are the strongest and I don't think being vegan means giving that up .This recipe will satisfy that craving that you have been looking for and not only make you and your family happy but possibly that inner child that has one thing on the mind...COOKIES! Enjoy! *Once one side is frosted, add these to the already made frosting to get the chocolate frosting side. Lightly grease two baking sheets and set side to use later. In a measuring cup, combine the vegan milk and vinegar and let sit for a minute until the mixture starts to curdle. Add the Vegan Butter, sugar, and vanilla in the mixer (I used my Kitchen-id), mix well blended. In another bowl, sift together the flour, cornstarch, baking powder, baking soda and salt. Once sifted to combine, slowly add the flour mixture and pour in the vegan milk mixture one at a time alternating (ending with flour). 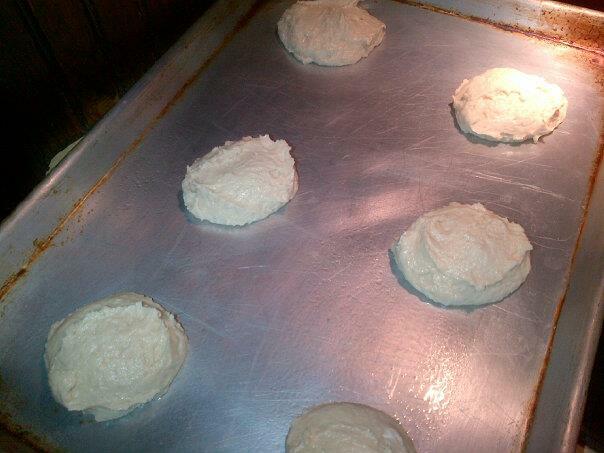 Mix to combine until the dough is smooth and a very thick batter forms, will be sticky still. With a 1/4-cup measuring cup or a ice cream scoop, scoop the batter onto the baking sheets, leaving 3 inches of space between cookies (about 6 per sheet, depending on sheet size). The cookies will spread out a bit, so leave enough room between them. Bake for 20 minutes, until the edges/bottom just start to turn golden and the cookies spring back nicely without soft spots. 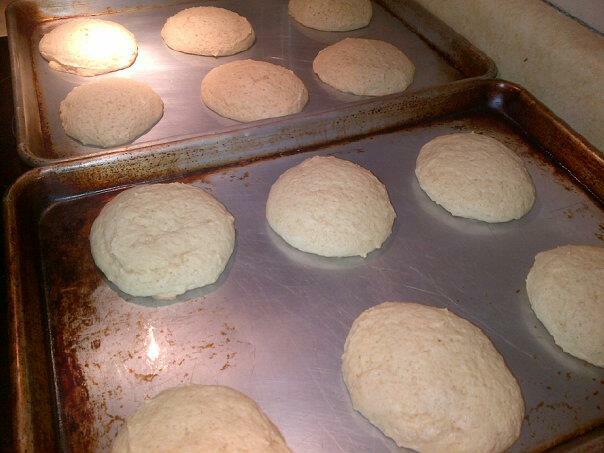 Remove the cookies from the oven, let them cool on the baking sheet for a few minutes, then carefully remove them from the pan. 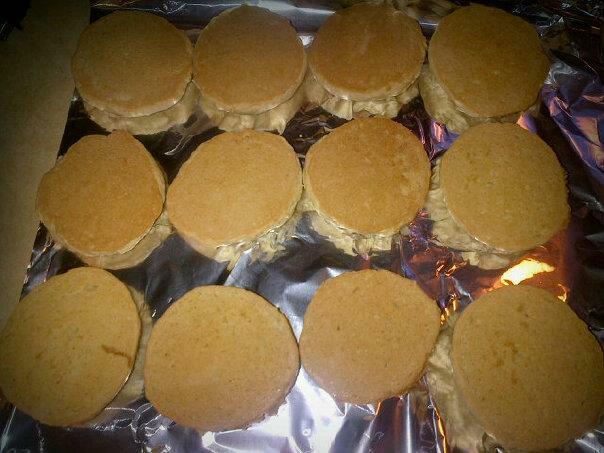 Flip the cookies upside down onto the rounded side, place them on wire rack or foil to complete cooling. When they are completely cooled, you will be ready to frost them. Prepare you frosting before hand so everything is ready. In the stand mixer fitted with a whisk attachment, beat the Crisco on medium-high speed until fluffy, about 2 minutes, stopping to scrape down the sides of the bowl. Turn the mixer to low (stir setting), add the sugar and salt, mix until incorporated. Increase the speed to medium high and beat until fluffy, about 3 minutes, stopping to scrape down the sides of the bowl. With the mixer on low, gradually add the 1/3 cup vegan milk and vanilla. Beat on low until incorporated, then beat on medium high until the frosting is airy and thoroughly mixed, about 1 minute, stopping to scrape down the sides of the bowl. Once you have made the vanilla use it to decorate and then when you are done you will make the chocolate out of the remaining frosting. In the stand mixer fitted with a whisk attachment again, beat the already made vanilla frosting cocoa powder and mix until incorporated. Increase the speed to medium high and beat until fluffy, stopping to scrape down the sides of the bowl. With the mixer on low, gradually add the remaining 2 Tbsps vegan milk. Beat on low until incorporated, then beat on medium high until the frosting is airy and thoroughly mixed, about 1 minute, stopping to scrape down the sides of the bowl. Take each cookie and dust off any stray crumbs. With a frosting spatula or butter knife, scoop some icing onto half of the flat side of each cookie, and spread an even layer. Use the edge of the spatula to scrap away any extra icing dripping off the sides. Return cookie to the cooling rack to allow the icing to dry. While the white icing is drying, return your remaining frosting to the mixer to make the chocolate frosting. Once made use chocolate next to decorate. 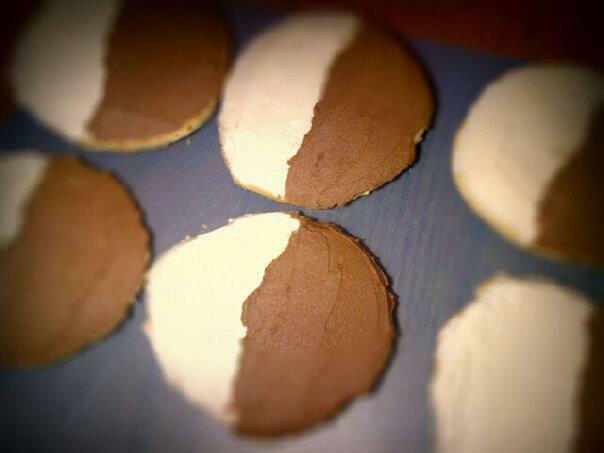 With the frosting spatula, ice the other half of each cookie with the other icing. Return to the cooling rack to let the frosting set. The cookies are best served the same day, but they can be stored in an container in a single layer for a couple days...if they last that long! Enjoy!